There is nothing more difficult than losing someone you deeply love and are very close too. For the elderly, one partner is bound to pass before the other—leaving one widowed. When combining old age and poor health with the death of the significant other; this can be extremely difficult for a senior citizen to manage through. 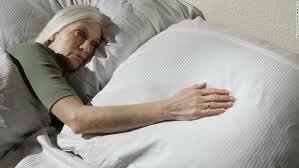 Their health can deteriorate rapidly, and they can suffer from severe depression. However, a family caregiver can definitely help improve their loved one’s mood and bring some cheer at the holidays and all year long. The most important thing an adult child can do is make sure they include their elderly loved one in celebrating. The focus should be on the many magical memories—not to foster sadness, but to offer comfort and reminiscence. Still, it is totally natural for loved ones to suffer from ongoing feelings of sadness, loneliness and possible partial alienation too. Anxiety is common among the elderly during the holiday season, and therefore family members should pay particular attention. Losing one’s significant other is devastating but when caregivers can offer support and memories that bring love and joy, more positive emotions can emerge. Of course, there will always be sadness and loneliness— there can also be supportive services that prevent and lower risks. Here is more of what a caregiver or caregivers can do for a loved one. Let’s just keep in mind that younger folks have an easier time moving past those cycles of stress and depression when they lose someone, basically because life is still so very busy. The elderly doesn’t have this same kind of lifestyle—they have more time to sit and brood, which creates mental health issues and physical health ailments. This is particularly true when stress and depression becomes extreme. Below are 4 things caregivers can do to change mood and boost more positivity. Always make time for your elderly loved one. In other words, don’t put your priorities over your father or mother; especially don’t do this at the holidays. Caregivers should make sure the elderly loved one is included throughout the holidays and beyond. Even if your loved one has said they don’t want you to make a big fuss—do it anyway! This shows you care, not just as a caregiver but as the grown child, or cousin (whatever your family position might be). Provide a relaxing, comforting environment. Don’t force your loved one to talk about their loss, or their memories if they aren’t up to it. Take it slow and help them to enjoy every second of sharing with others. Plan activities too, because this will take their mind off their recent loss. The most important thing is to not let them go wander away in a corner alone. Keep them in the center of the entertainment. Before and after the holidays, make sure you are more attentive and visit them more often than normal too. January through February are known to be grievous months for those whose elderly are suffering from depression due to loss. Also, make sure you don’t forget important dates that really mean something to your elderly loved one. Just because the holidays have passed (or haven’t arrived as yet) is no excuse to not spend more time with your elderly family member. Really talk to your (father, mother, grandparent, or other) loved one about what matters to them. Allow them to talk about whatever comes to mind, and always listen intently. Respond with compassion and understanding. Helping them reconnect with life will ensure they can find some peace and happiness during such a very difficult transition. In finality, providing ongoing love and support is what matters most. Don’t forget about your elderly loved one when the New Year starts. Consistent support and reaching out matters, whether they let you know that or not.